For KeyBoard, we just want to make PCB a fine look and more interesting. It is an interactive badge with touching, lightning, and melody. You can wear it on your neck or fix it to your bag. Press the lightning icon to switch between two modes. 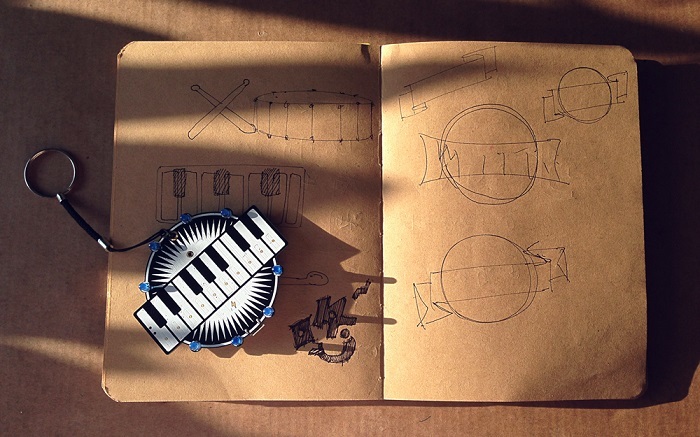 One is a mini piano while another is circular melody and chasing light. Enjoy a wonderful night at music live with KeyBoard! If you want to program the board, please download our Arduino library, and please note the the board was in Arduino Leonardo bootloader. Please contact joney.sui@longan-labs.cc if you need more help.